This guide will help you restore your backed up files after performing a factory reset on your Samsung Galaxy S5. You may refer to this content for you to get your files back in an instant. You will only be able to restore files if you backed them up before the hard reset. Also, backup files must be saved to your Samsung account before the hard reset. A master reset, or hard reset on the Galaxy S5 can be done by going to Apps->Settings->Back up and reset->Factory data reset, and then follow the onscreen prompts to complete the process. All personal information or settings will then be deleted as the phone will reset to factory default settings. After a successful master reset, power up your device, then connect to a Wi-Fi network. 4. Let your phone search for an available Wi-Fi network. 5. Tap to select the network you want to use or connect to. 5. Sign in with your account details/credentials. 6. Now start restoring your backed up data. 3. Scroll to and tap Cloud under Settings. 4. Scroll to and tap Device backup under Cloud. 5. Scroll to and tap Restore under Back up and restore. 6. You will then be prompted with the downloading data pop-up message to retrieve data from Samsung account. Allow your phone to retrieve your backed up data. 7. You will then see the available items to be restored. Tap to check the items you want to restore, then tap the button to Restore Now, located beneath the screen. 8. Your phone will now initiate data download. Wait until it's complete. 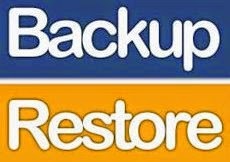 When backup data download is finished, you should see the Restored prompt, indicating that your backup files have already been restored and ready for use on your Galaxy S5.